In this time of high cost tuition and economic uncertainty, it is all the more important for colleges to show students and parents that they are getting the most for their money. At Belhaven, everyone works hard at making the college a "Best Buy," and it shows. For 11 years Belhaven has been recognized as one of America's Best College Buys, and seeks to continue making college an affordable option for today's families. 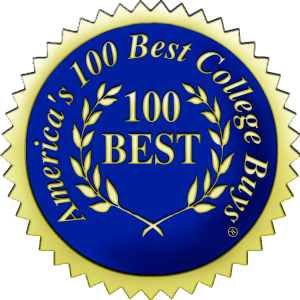 Using analysis from the Annual National College Survey, Belhaven was considered as a Best College Buy for offering "exceptional educational opportunities," and chosen based on criteria of accreditation, residential facilities, student GPA and test scores ranking above the national average, and cost of attendance below the national average. Make sure you watch the video where Belhaven University President, Dr. Roger Parrott, says there are 5 good reasons why Belhaven is an affordable education.